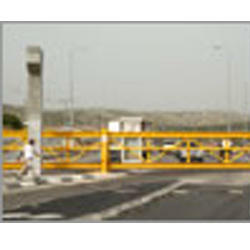 A power station in Ashdod At the entrance to the power station, installation of interlocks (divided entry), 3 console gates at the compound entrance, and 12 impact-resistant pneumatic bollards. In addition, installations and service of console gates and securing of other IEC stations countrywide. 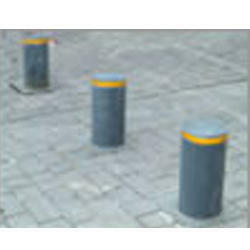 Securing the area with impact-resistant bollards combined with other security measures. Project for the Ministry of Foreign Affairs. Securing the street where the embassy is located by 3 impact-resistant barriers, to protect it from vehicle intrusion, including trucks. 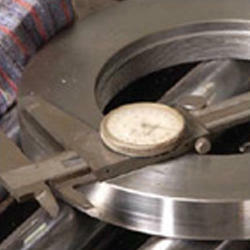 Concealed concrete weights, model K-6005. Project for the Ministry of Defense. 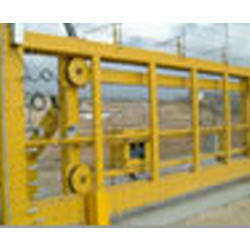 Supply and installation of 6 impact-resistant barriers model K-6000 and securing the project, back-to-back, with an impact resistant console gate. Project for the Ministry of Defense in a top-security facility in the north of Israel. 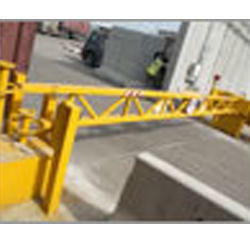 Installation of console gates and impact-resistant wing gates, pneumatic bollards, building of interlocks (divided entry) including the command, control, software and hardware systems. 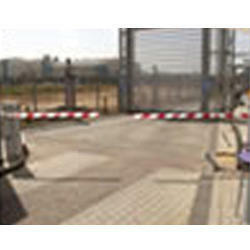 Securing settlements in the south by heavy-duty console gates and impact resistant K-6000 barriers. 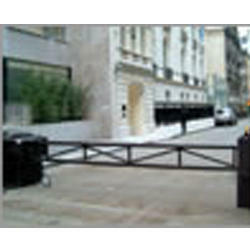 Securing the crossing point by impact resistant console gates. As the first step to planning an upgrade either to your perimeter security or your facility's security in general, BGI recommends a complete threat and risk analysis. Undertaken by leading physical security consultants, this study is the first step to understanding the level of your current protection and your vulnerability. Which threats are relevant to your facility and how seriously they should be taken. Where are the vulnerabilities in your buildings, technology, and procedures. In what priority the vulnerabilities should be addressed. The study can focus specifically on perimeter security or the scope can be expanded to cover your entire facility. BGI is able to call upon a team of world-class security consultants to offer a complete physical security consulting service. Physical: Architecture, windows, structure, landscaping, perimeter, entrances, exits, and all other physical elements. Technological: Surveillance, control room, access control, screening equipment, alarm, detection systems, information security, and security-related technology. Our team of experts has worked with governments and corporations worldwide and will be happy to assist you with the design and implementation of complete physical security solutions which incorporates BGI perimeter security protection. Through our worldwide network of distributors and dealers, BGI is pleased to be able to provide installation and maintenance for our entire range of products. Installations for complex entrance designs can be handled entirely by our team as turn-key projects, or alternatively, the products can be supplied for simple installation. Many of our products can be customized to your needs. 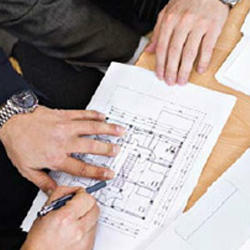 Our design and engineering team will be happy to discuss your requirements and work with you to develop a solution. Access control often needs to be integrated with other security systems or enterprise IT and our specialists will ensure seamless implementation and integration with your existing environment. 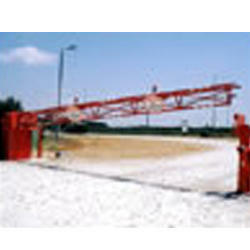 Security and access control quick barriers. 56 heavy-duty upper track gates, to close the interlocks (divided entry). 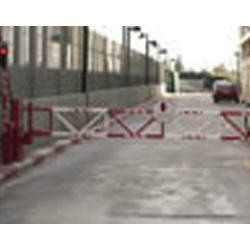 Installation of protection measures on the Israeli and Palestinian sides. 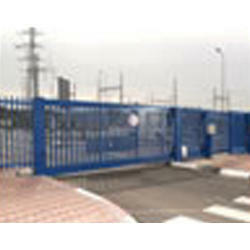 Project for the Ministry of Defense Securing the Israeli territory after Alfei Menashe, impact resistant console gates. 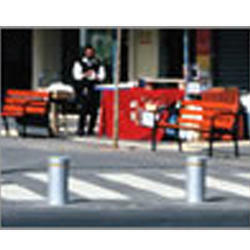 Access control for the pedestrian-only street by pneumatic bollards + computerized command and control system. Hacarmel open market in Tel Aviv – the project for the Tel Aviv municipality. 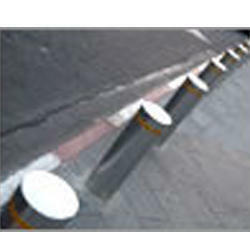 Securing the entrance to the hospital by the installation of 5 security pneumatic bollards. B.M.W. 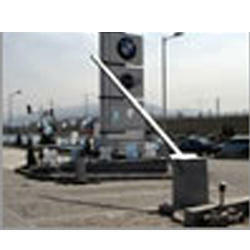 Bulgaria: Tthe civil project for Kamor Supply and installation of 2 impact-resistant barriers model K-6005, B.M.W. agency in Sofia, Bulgaria.